With 18 years of experience in recruitment and HR, Kate Smedley offers a range of copywriting and talent solutions for employers, covering topics including HR, recruitment, analytics, big data and AI. Dark data is predicted to be one of the emerging tech trends for 2017. As businesses explore more ways to transform talent management processes and slowly move towards analytics, the swathes of information contained in dark data may prove to be the missing piece in the recruitment jigsaw. Gartner defines dark data as the ‘information assets organisations collect, process and store during regular business activities, but generally fail to use for other purposes’. It is used, inactive information found in unexplored files including e-mails, messages, spreadsheets, pdfs, audio and video files. For many companies this data lies dormant and discarded but the insight it contains may inform and drive future talent management and hiring decisions. Deloitte’s report ‘Dark analytics: Illuminating opportunities hidden in unstructured data’ highlights the opportunities in dark data but warns that within three years’ time the sheer amount of data available may prove to be unmanageable. Veritas estimates the cost of managing ‘untamed’ data at up to $3.3 trillion per year collectively by 2020. Used effectively dark data can offer vital insights into talent sourcing and retention patterns. Data that is lost or ‘goes dark’ may disrupt hiring processes. It may be something as simple as the lost CV of a qualified candidate or a missing vital background check that extends your time to hire. Effective hiring processes require active, easily accessible data to reduce the amount of time employees spend duplicating or recreating information they can’t find. Clarify your problem : Deloitte recommends identifying the problem you wish to address before delving into your dark, or unstructured, data and decide what data sources might help in resolving it. Focus questions on one specific area and ensure it is measurable and of value for your hiring process. Extracting samples from a selected data source will help to quickly indicate its potential value rather than attempting the impossible and time consuming task of pouring through an expanse of information. For example, a paper based onboarding system may contain invaluable insights into why new hires are leaving your business within the first six months of employment. Too broad an approach will be overwhelming. Be aware of risks : Historical recruitment data that is not easily accessible or securely stored could expose your business to issues with data protection. Information on former employees for example may not be needed again but must be stored appropriately and securely. A formal policy relating to the storage of data during the hiring process is essential. Veritas found that that over 25% of employees store personal data in corporate resources which may infringe on data privacy or copyright rules. 20% of employees also use personal devices to store business data. That may be vital dark or unstructured data lost to HR. Incorporate technology : Paper based or manual recruitment processes add to the expanse of dark data generated every day. Korn Ferry notes that less than half (48%) of businesses use applicant tracking software in recruitment. Without those systems or basic technology, dark data risks adding to inefficiencies in hiring processes rather than offering added value. This may still be a step too far for hiring teams inching towards the use of people analytics, or who have yet to harness the insight available in basic recruitment metrics. Deloitte’s Global Talent Trends report for 2017 shows that 85% of companies have usable data but only 9% have a ‘good understanding of which talent dimensions drive performance’. Dark data may be the key to understanding those dimensions. Investment in big data has risen in 2016. That’s according to tech consultants Gartner which reveals that 48% of companies invested in big data this year, an increase of 3% compared to 2015. Planned investment in the next two years is predicted to fall, however. The issue, according to Gartner, is not so much the data but how it is used. 85% of companies who invest in big data remain in the pilot stage as projects fail to progress beyond the initial commitment. Evaluate your current position : Understanding the maturity of your current recruitment process will provide a base from which to evaluate progress. Deloitte’s Global Human Capital Trends Survey 2016 found that one third (32%) of businesses felt ‘ready or somewhat ready’ for analytics while 8% believed they were ‘fully ready’ to develop a predictive model. Know your starting point. Aim for quick wins : PwC’s 2016 Data and Analytics Survey reports that UK executives want more data driven decisions but are held back by their organisations and culture. Demonstrating the benefits with some quick wins will help to overcome internal resistance to big data. Aim to provide insight and solutions into ‘roadblocks’ within your hiring process. For example, a lengthy application process deters candidates from completing application forms, while recruitment analytics identifies the source of your best applicants. Begin with HR technology covering key hiring metric which extracts information from live data within your Excel spreadsheets. Getting the right data is the key, whether ‘big’ or ‘small’. Personal data, including medical history and employee attendance levels. The hiring sources of your most successful people.. Employee participation in surveys and candidate referral schemes. Utilising analytics : Big data helps to shape your understanding of the online habits of your talent pool, through tracking their digital footprints. It assists evaluation and targeting of job posts and facilitates engagement with people who possess the skills critical to your business. That information helps to create focused candidate personas in order to target future recruitment at relevant talent pools. Analytics evaluates the demographic profile of potential hires, coupled with their educational background, career history and typical salary. Advanced analytics can predict talented employees who may be a ‘flight risk’. When high risk people are identified, HR can adopt a more effective and aggressive retention strategy, focusing on areas such as career development, in-house training and flexible working. Minimising bias : Data helps to reduce ‘confirmation bias’, broadly defined as a pre-existing belief we may hold which we look for evidence to support. In hiring, this may present itself in repeatedly recruiting applicants from the same social or education backgrounds. The Social Mobility Commission’s newly released State Of The Nation Report 2016 reveals the extent of the problem in the UK, noting that only 4% of doctors, 6% of barristers and 11% of journalists are from working-class backgrounds. Confirmation bias leads HR to eliminate talent from interview selection. Hiring algorithms in big data help to prevent that. As a prime example, Google’s re:Work platform operates on the principle of ‘unbiasing’, which it states begins with ‘education, accountability, measurement and more’. Don’t over-invest : Big data must work for your business. Scalable HR technology enables your business to expand as employers analyse and interpret the data available. Recruitment software without integrated analytics that provide live and instant data will hinder, not help your hiring process. It should also be mobile friendly and equipped with social collaboration tools. Ensure ethical use of data : Confidentiality and privacy must be a priority for employers collecting data on candidates which includes personal information. The UK government has accepted a recommendation to create a council of data science ethics to address concerns over the misuse of big data. Establish ground rules for the use of talent analytics within your business to ensure compliance. Choose technology that complies with the Data Protection Act and offers a full audit trail. Big data is here to stay. The Economist Intelligence Unit reports that, while cyber-security and web/mobile development are the highest ranked competencies today, big data will replace them by 2018. Big data is HR’s ally. Utilised effectively it augments recruitment and selection decisions by providing objective data that highlights disruptive elements in the hiring process. No data is perfect but it provides an indication of activity and progress in your talent management strategy. 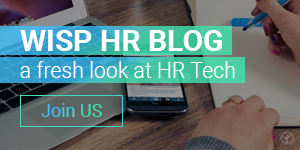 Create a story and positive message around your technology to empower HR. It isn’t about statistics. 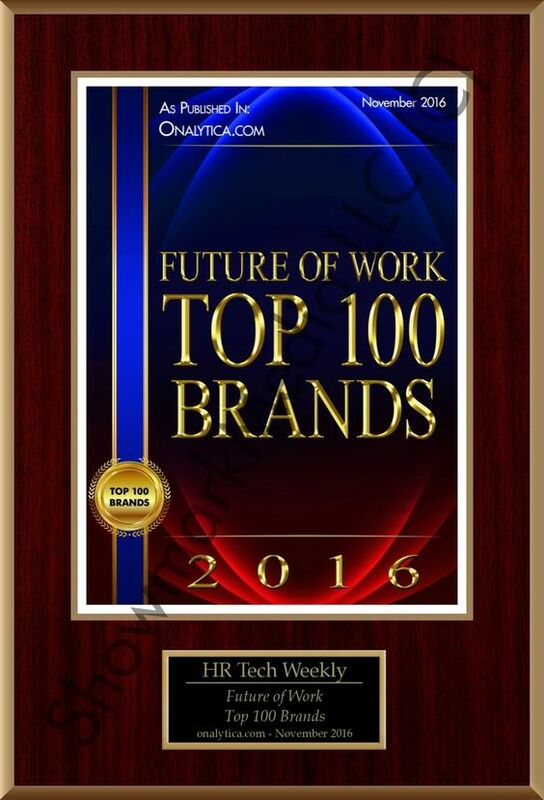 It’s about enabling your business to create stronger talent pools, and a more robust hiring process. HR must develop familiarity with and insight into data to communicate its benefits confidently and ensure that it aligns with performance objectives. Adopting a predictive talent model is your goal but breaching that big data barrier is the first step. Advorto‘s recruitment software provides workflow and structure across the entire hiring process, offering a dynamic database of candidates and analytics. Used by some of the world’s leading organisations, it provides a straightforward first step into HR analytics and big data.